To me the process of a child learning to read, as a parent, is both amazing and down right torturous. It is amazing seeing the development and progress sometimes on a daily basis as they connect the dots and work out the code of the English language, but hearing them read is often torturous at the start as you tend to feel like there is no progress and the books are just deathly dull – Chip, Biff and Kipper and their blasted magic key regularly send me over the edge. At the beginning almost all children seem to find it hard to make the connection between the sounds they have learnt. Both my sons could identify and say all their sounds fairly quickly and so could sound out the words in the books, but they could not blend them together. That was more of a struggle and still remains a struggle for my younger son. He can do it, but is lacking in confidence that he can do it and so tends to shut down whenever he gets something wrong. He also gets very frustrated and frankly so do I. I try so hard to cover up that it is frustrating when you have literally just read ‘dad’ and then on the following page he looks at it blankly as if this is totally new. I am sure he can feel me tense up even though I am outwardly smiling and being encouraging. It felt like we were not getting anywhere and that I was not helping and so I sought advice from his teacher and having tried some of the things she suggested over the past week the whole process of hearing them read has become less of a battle ground. He is more willing to come and try and that must be a positive thing. Let him practice combining sounds to make words – we have all the sounds cut out and laminated and he can then move them around on the table to spell out words. He can spell whatever he likes so he enjoys this as he gets to make words like bum and poo! We don’t always read the book in order as he has a great memory so learns the sentences pretty quickly and knows what is coming next. That doesn’t really help him to progress and crack the code so although we do read the whole story I also pick out a random page and just choose a couple of words for him to read before moving onto another page. This helps to check that he is actually reading. We use the Reading with Phonics app which is great for getting him to have fun whilst learning. He loves an electronic device so is very happy to use this. 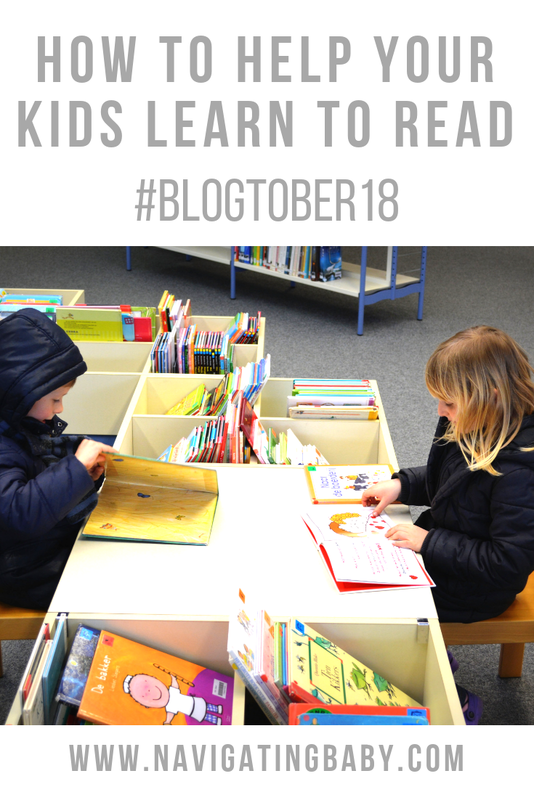 I know that hearing them read is very important and so although I have a lot going on (and so do they) we do read together every day even with my 7 year old who can read really well. He sometimes resists as he just wants to go off and read his Famous Five book by himself, but I do always get him to at least read some aloud to me so that I can check he actually gets what he is reading. I also try to read some to him as well as it is tough when you are learning to get the intonation right so I want him to hear how I would read it. It is also just a special bit of time together and when you have 4 littles they crave that 1:1 attention. I am only one of two, but still some of my fondest memories of my childhood are my father reading the Famous Five to us and doing all the characters voices. My two preschoolers just love books so reading to them is a daily occurrence. In fact right now they are fighting over a book despite the fact we have loads. They have a list of favourites which we read all the time and we also regularly go to story time at our local play centre where fab actresses read the stories in a much better and more exciting way than I can. If you have any tips for helping little learn to read or for making hearing them read be enjoyable for them and you then I would really love to hear them. Great Post, its so important to help our kids read, i really believe the more they read, the more iNtelligent they become. Loved this post! I think one of the best things we can do to teach our children (and grandchildren) to read is to read to them. That's what got all of my kids started. Laurie recently posted...Do You Believe in Magic? Great Post, this has great tips. I don't have any kiddos yet, but I will be saving this for later.